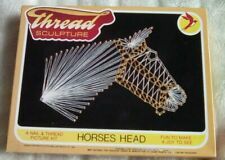 Horses Head Thread Sculpture. Thread Craft Picture Kit. Unused.